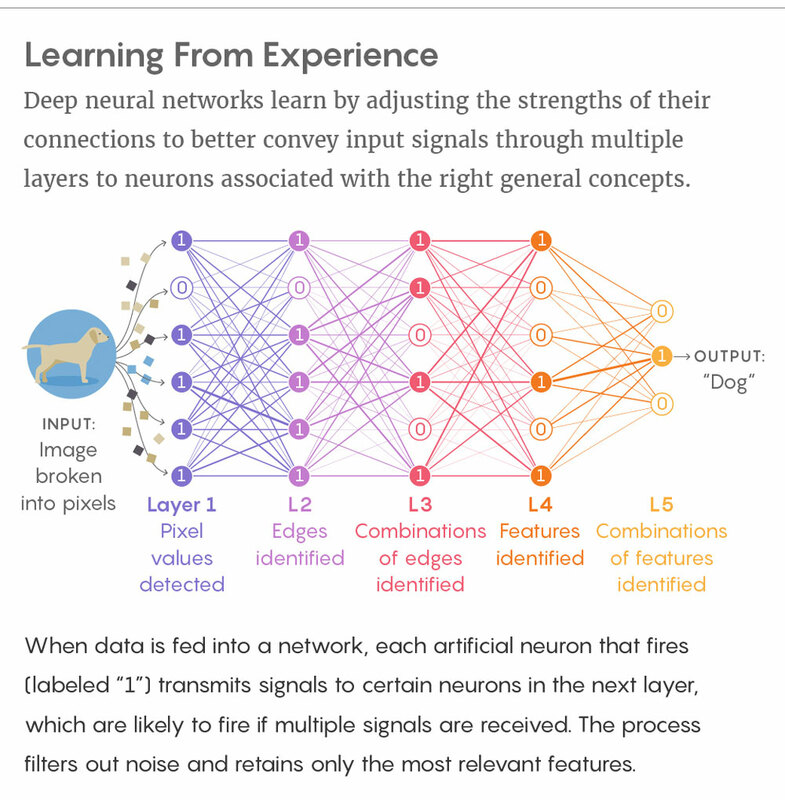 ven as machines known as “deep neural networks” have learned to converse, drive cars, beat video games and Go champions, dream, paint pictures and help make scientific discoveries, they have also confounded their human creators, who never expected so-called “deep-learning” algorithms to work so well. No underlying principle has guided the design of these learning systems, other than vague inspiration drawn from the architecture of the brain (and no one really understands how that operates either). Naftali Tishby, a professor of computer science at the Hebrew University of Jerusalem. Noga Zaslavsky, left, and Ravid Shwartz-Ziv helped develop the information bottleneck theory of deep learning as graduate students of Naftali Tishby’s. Lucy Reading-Ikkanda/Quanta Magazine; adapted from arXiv:1703.00810 [cs.LG]. The most important part of learning is actually forgetting.